UK Customer Support Blogs List. The Best UK Customer Support Blogs from thousands of UK Customer Support blogs on the web using search and social metrics. Subscribe to these websites because they are actively working to educate, inspire, and empower their readers with frequent updates and high-quality information. UK About Blog Customer service software and support ticketing system by Zendesk. It empowers organizations to improve customer engagement and better understand their customers. Facebook fans 100,222. Twitter followers 75,726. London, UK About Blog Learn about better customer service, startup life and more on the Kayako blog. Help Desk Software and Customer Service Software that helps you be more productive and build customer loyalty. Join over 131,000 customer support heroes and start your free trial today! Facebook fans 11,142. Twitter followers 11,453. UK About Blog Welcome to the UK's leading blog on customer service, customer loyalty and customer satisfaction. The blog is written and edited by Darren Bugg, alongside a team of expert guest writers. Darren Bugg is a marketing and customer service expert with 30 years experience working at a senior level in this field. They also offer a wide variety of training courses in customer service, customer loyalty, and various subjects related to business and marketing. Facebook fans n/a. Twitter followers 863. UK About Blog Hi, welcome to Lady Janey, my unique Customer Service blog, the first of its kind in the UK. Whether it be in the hospitality or service industry; in the high street, local shopping mall or online, I’m here to share what’s good and what’s not so good in the world of Customer Service today and how to ensure that what you spend your hard earned money on is worth every penny. Facebook fans 222. Twitter followers 1,193. London About Blog Sabio is a specialist systems integrator focused on delivering exceptional customer contact strategies, applications and solutions. An innovative contact centre solutions provider focused on helping businesses reduce costs whilst improving the customer experience. Keep up to date with with 'contact centre' articles from the blog. Facebook fans 217. Twitter followers 1,728. 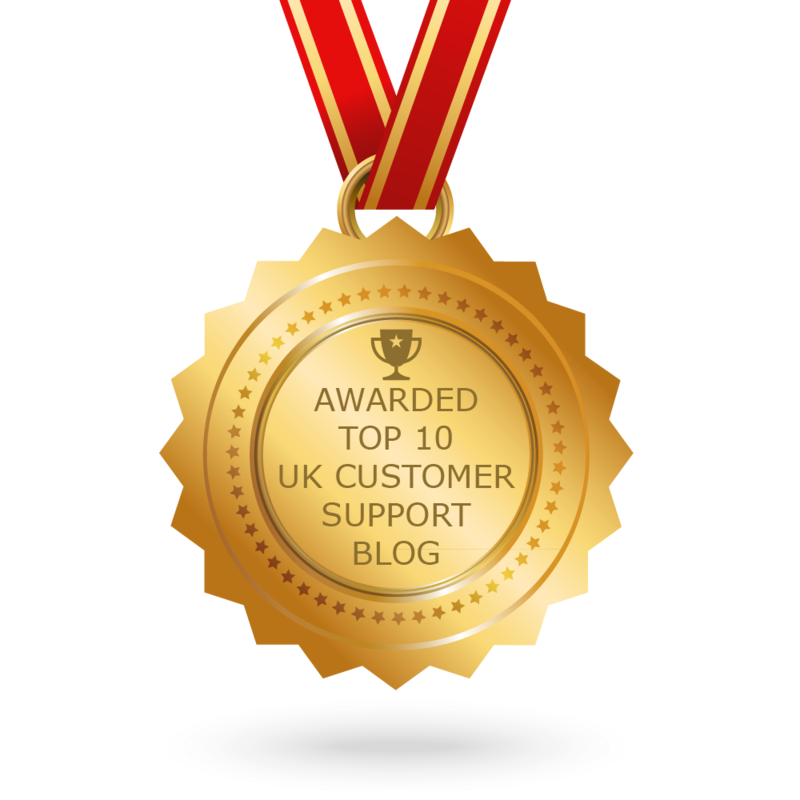 CONGRATULATIONS to every blogger that has made this Top UK Customer Support Blogs list! This is the most comprehensive list of best UK Customer Support blogs on the internet and I’m honoured to have you as part of this! I personally give you a high-five and want to thank you for your contribution to this world.